Community is woven throughout everything we do at Just Between Friends. We are families helping families. 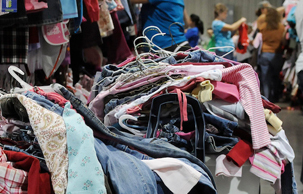 After each event, consignors may donate unsold items to help local families in need. We will be working with Jubilee Ministries to recycle items that help ALL children. We thank Jubilee for the great work they do—helping those in our community who need it most.